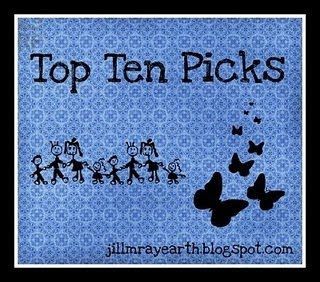 Top Ten Picks is hosted by Jillian of Random Ramblings. I will be totally honest with you: some time I buy books based largely on the cover. 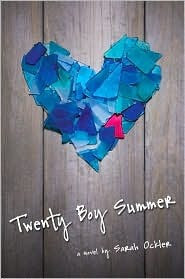 Give me a positive review, a jaw dropping cover, and I want my own copy. I think we're all guilty of this at times. Right? While there are plenty of covers I love, here are some of my favorites, in no particular order. I haven't read all of these books, but I at least own most of them. Some people have said that this cover is a bit too simplistic to be enjoyable. If you are in that camp, I disagree with you. I think the colors here are vibrant enough to jump off of any shelf. It's partially what compelled me to buy this book. 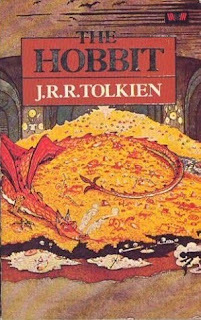 This represents one of the more memorable scenes from Tolkien's fantastic novel. Furthermore, who doesn't want a giant pile of treasure to lounge upon? I have to admit, the title alone was not enough to convince me to buy this books. However, this fantastic cover is enough to convince just about anyone remotely interested in Steampunk to check this book out. I haven't actually read it yet, but I can't wait! So I've seen an adaptation of this novel but not read it. This is another cover that's fairly simple, yet the dress and the way it fans out is gorgeous. I just ordered this gorgeous leatherbound classic from Barnes and Noble. I think the cover perfectly fits the feel of the series, moreso than others I've seen. If anyone needs me I'll be searching for the wardrobe. Another cover that pops right off the shelf. The different shades of blue and the one pink piece definitely pique my interest. A fantastic cover ensconcing a great story. Ah, I love how purple it is! This novel just came out earlier this week, and I highly recommend that you get yourself a copy. You know you want that cover on your shelf. How awesome does this book sound? And with this cover? I hope to have my hands on it the day it releases. This cover perfectly fits the feel of this book. Emotional, light with darker areas. I bought this book because of the cover and the great reviews, and am so glad I did. I may or may not have pre-ordered this one as soon as I saw the cover. And I have thus far failed to read it. I'm eager to discover what lies beneath. And there you have it. Of course, this is just a small handful of covers that I love. What are some of your favorites? Love love love the cover for Across the Universe. Looks great online but I bet it's the kind of book that would just look amazing in your hands!!!! I can't wait to get a copy. I have awarded you the One Lovely Blog Award!